WELL--I'M BACK BUT THIS IS STILL A GOOD LIST TO GO THROUGH. I'LL HAVE NEW STUFF IN A DAY OR SO. It's been a year and half since I've take a vacation and now is the time. I'll be gone 3 weeks and while I won't stop eating where ever I go, I won't be able to partake in the joys of San Francisco food. Be that as it may, it doesn't mean you can't enjoy some of my favorite places to grab a bite and check out for yourselves. Herewith, a few small lists of things I think are worth at least one visit. Little Star Pizza--3 locations to suit your needs. Thick or thin and all the toppings on these delicious cornmeal crust pies of delight. It's where the hipster in you goes for pizza. Paxti's--like a bay area mini-chain they have deep-dish and thin crust, again with that sweet crunch of cornmeal. Though it takes extra time they also deliver. For when you want local gussied up as a chain but still good. Gioia Pizzeria--when one of you wants great then crust pizza and the other person wants something else. They do more than pizza, like a great pork belly appetizer, so you can't go wrong with tried and true or anything else on the menu. Or if you just want to pretend to be a Marina girl without actually going to the Marina. Del Popolo Pizza Truck--it's thin crust brick oven pizza--FROM A TRUCK! Yes! They have a brick oven IN their truck! What better reason to try them! Of course the pizza is pretty darn good and orders come out surprisingly quick. I recommend the Bianca. 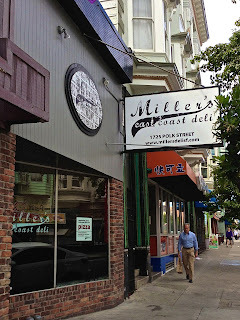 Eat here and truly feel like an in the know San Franciscan. Cinecitta--this tiny hole in the wall restaurant in North Beach is a true hidden gem. Traditional Italian pizzas with dough made from semolina flour imported by the owner directly from her family's farm in Italy. How much more old-world do you need than that? Cute, quaint and tasty. Surprisingly there are tons of places to get a pizza in San Francisco, you'd think this Chicago or New York or something. You can also find other worthy contenders on this list. 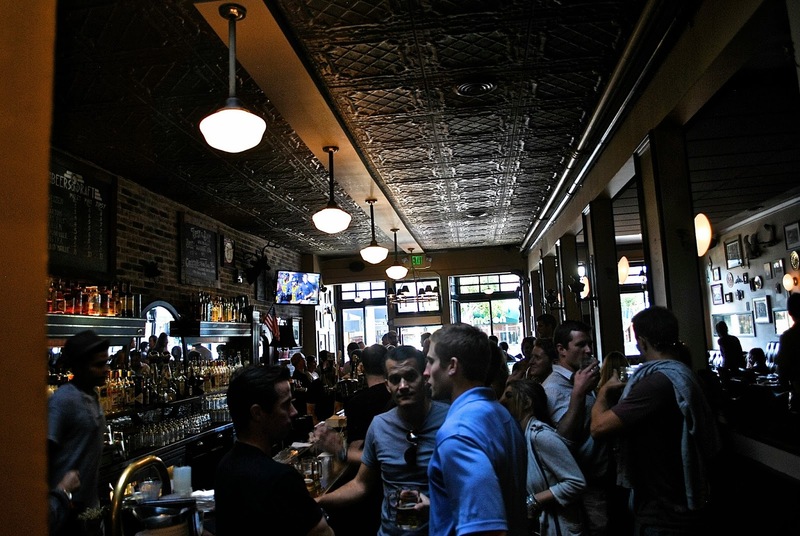 Divisadero has become the new hot bed of hipster restaurants in San Francisco. The strip of street from Haight to Golden Gate is trying to rival the Valencia corridor for must eat places to go. From Ragazza to Nopa to Bar Crudo to Blue Jay Cafe to Little Star Pizza to the newest La Urbana and a soon to open barbecue joint by the 4505 Meats guys. One other newish place along the strip is The Mill--a large scale mostly bread bakery and coffee shop. They've become a go to place for buns and bread for restaurants, food trucks and pop-ups. One such pop-up, Kronnerburger, decided to do their pop-up out of The Mill instead of their usual Mission locale. I've been wanting to try them for awhile as I'd heard good things about their burgers and figured this was a good opportunity to check them out without slogging to a Mission bar at night. (yes, I'm that lazy sometimes) Turns our word gets out and there was a pretty decent sized group of folks in the place when we got there. A peg leg wearing crowd of hipsters with facial hair, flannel and bikes from Public Bikes. Ah, the Marina, full of frat boys and sorority girls with ponytails and Lulu Lemon yoga pants even though they aren't really headed to yoga. Be that as it may, Chestnut Street is an interesting strip of shops, bars and restaurants and can be an intriguing cultural journey into one of the many different neighborhoods with definitive vibes in San Francisco. 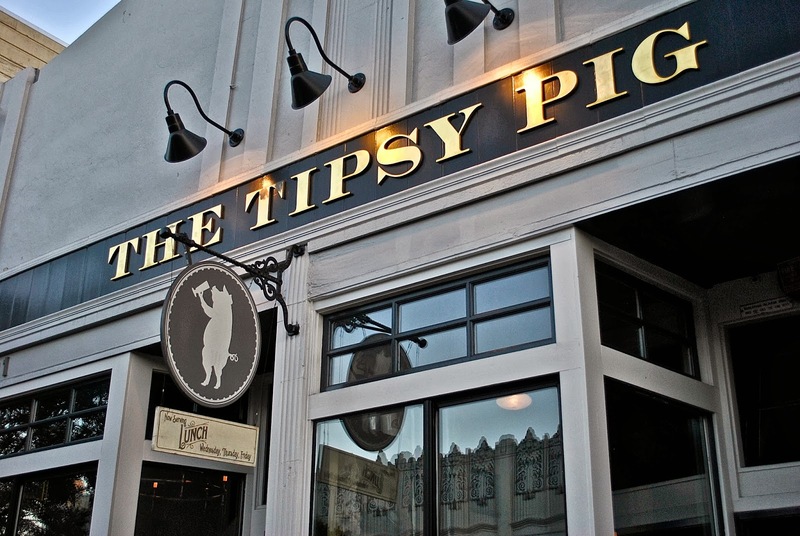 So it was that me and some friends made our way down to this hood to check out the Tipsy Pig. Sometimes you can live in a town for a long time (15 years) and seemingly never get to or even know about small restaurants that have been around for ages. Miller's East Coast Deli is one of those kind of places. 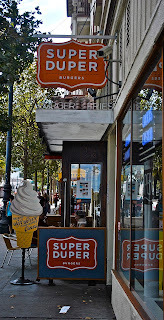 A long time stalwart along the ever changing corridor known as Polk Street. It's an eclectic little street that starts at the Asian Art Museum, melds into a portion of the Tenderloin, leveling out a to a neighborhood in transition before finally ending in full blown Marina people land somewhere past Broadway. Miller's occupies the nether land that seems like it might have once been grungy but has now cleaned itself a bit. I'd passed this place a number of times, always with the thought in the back of my mind, "I should really try it out." I finally had that chance when some friends of ours moved into a place about a block away, so I made plans to meet up and eat up. 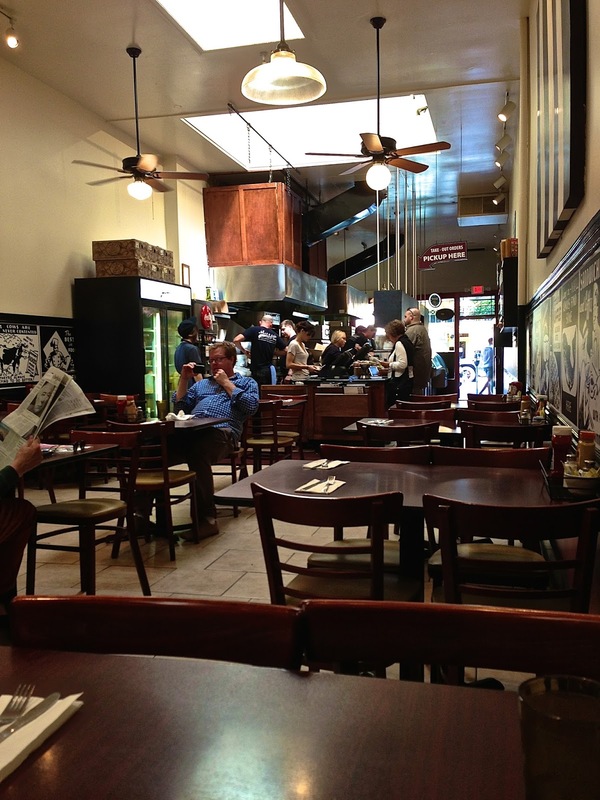 Wise Sons is a Jewish Delicatessen that opened to some fanfare last year and has been packing in the crowds ever since. They've even expanded to takeover the cafe space at the Contemporary Jewish Museum downtown, something I think is a genius fit and convenient. Hopefully someday they will be able to do their full menu there till then, there's the original location at 24th and Shotwell.